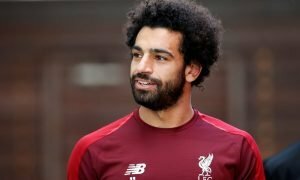 Liverpool keen to sign striker in record-breaking deal | The Transfer Tavern | Where football transfer rumours fly or die! Liverpool fans in the Transfer Tavern have been praying that Jurgen Klopp could pull of something remarkable on the transfer front and they almost choked on their sandwiches this afternoon following some audacious reports. The Liverpool Echo states Liverpool are keen to rival Real Madrid for the signature of Bayern Munich superstar Robert Lewandowski, who’s career was put on his current meteoric path by Klopp during the pair’s time at Borussia Dortmund. 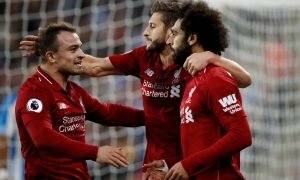 Real Madrid’s interest in the player would be problematic for the Reds though, particularly as they’re unlikely to be able to offer Champions League football as Liverpool are some way off the top-four with 15 games to go. Jurgen Klopp could be the key to a deal though, as could the lure of the Premier League, but our landlord believes that should Lewandowski make it clear he wants to play in England then a number of sides will raise interest in the forward. Liverpool fans, would Lewandowski win your your first league title in three decades? Let us know in the comments below!